Finding a quality option for a reasonable price can be a challenge if you're looking for a new spot to live on a budget. So what does the low-end pricing on a rental in the Kingwood Area look like these days--and what might you get for the price? We took a look at local listings for studios and 1-bedroom apartments in the Kingwood Area via rental site Zumper to find out what price-conscious apartment seekers can expect to find in this Houston neighborhood. Listed at $775 / month, this 1-bedroom, 1-bathroom apartment, located at 2921 Sycamore Springs Dr., is 9.3 percent less than the $854 / month median rent for a 1-bedroom in the Kingwood Area. In the building, you can anticipate a swimming pool, outdoor space and a cabana. 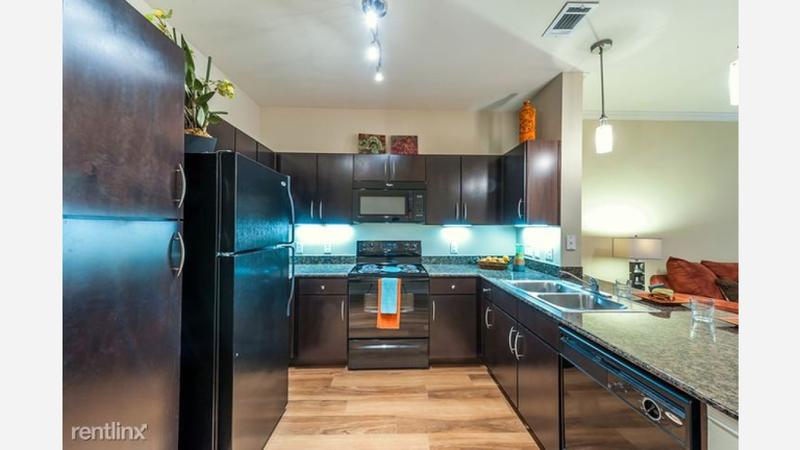 The unit comes with hardwood floors, stainless steel appliances, a large closet, and granite countertops. This 1-bedroom, 1-bathroom apartment, situated at 23423 US-59, is listed for $810 / month. Building amenities include a fitness center, a residents lounge, a swimming pool, a business center and outdoor space. Here's a 1-bedroom, 1-bathroom apartment at 4855 Magnolia Cove Dr., which is going for $810 / month. In the unit, look for a mix of carpet and hardwood floors, ceilings fans, a deck, granite countertops, stainless steel appliances and a dishwasher. Then there's this apartment with 1 bedroom and 1 bathroom at 938 Kingwood Dr., listed at $849 / month. Building amenities include a fitness center, outdoor space, a billiards room, and a residents lounge.